Studio Number One worked alongside our Creative Director Shepard Fairey to design the logo for Rock the Bells, LL Cool J’s new channel on Sirius XM! The channel will feature interviews and mixes of classic hip hop tracks, along with retrospectives and media curations by LL Cool J, Run-DMC, Outkast, Public Enemy, A Tribe Called Quest, and Grandmaster Flash. Be sure to tune in to Rock the Bells on Sirius XM channel 43 starting on March 28! Since the tragic shooting in Parkland, FL, the angry student survivors have successfully pushed politicians to support gun control legislation and forced major businesses and advertisers to cut ties with the NRA. Additionally they have organized events to encourage communities across the country to go out and make their voices heard about gun violence. Let’s stand with the students of Parkman by partaking in the National School Walkout and March For Our Lives on March 14th and 24th! Participating in these events is a way to stand up to not only gun violence, but to make it known that our schools should no longer be a danger zone. It is a way to express that this country needs proper changes when it goes to how gun control is handled. 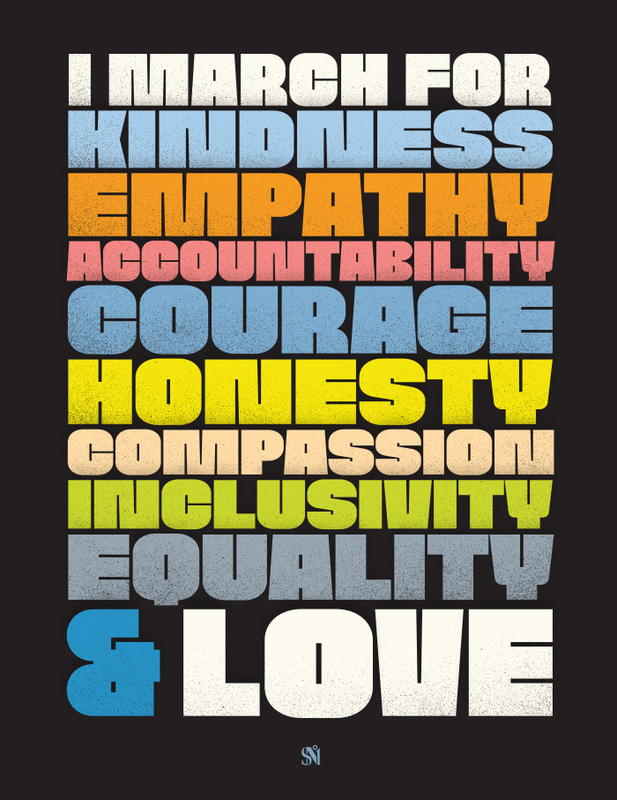 By going out and marching it helps project the message that enough is enough! Starting off with the National School Walkout, this event was created and organized by the Women’s March Youth, and will be held on March 14th at 10 a.m. in all time zones. All students, teachers, parents, and administrators are invited to join. The movement continues on March 24th with March for Our Lives. Created and organized by the students of Parkman,the march will be held in Washington D.C. and nearly 500 other locations. Go out and show your support for gun violence reformation by marching with your family, neighbors, and community! To support the cause, Studio Number One designed a collection of posters and art that can be downloaded for free. Print them for the upcoming march or post on your social media and make your voices heard! Click the links below to download and print. Studio Number One Loves Films! Studio Number One loves films and the artistry that goes in to making them. With the Oscars just around the corner, our graphic designer Ian Stoufer created some illustrations depicting a few of the nominees for Best Picture, including racially charged thriller Get Out, the coming-of age-film Call Me By Your Name, and political drama The Post. SNO designer Francisco Reyes Jr., aka Never Made teamed up with Obey Clothing to create this limited edition collection for the Spring ’18 season. As a part of the Obey Artist Series check out not only these exclusive goods, but also the short film about the creation of Never Made and what it means to Francisco. In honor of Black History Month, the Studio Number One team created a few short videos of current and influential members in the black community. These include the president of Akondai Foundation’s Latefah Simon, civil rights activist and author Michelle Alexander, and the founders of Black Lives Matter: Alicia Garza, Opal Tometi, and Patrise Cullons. We would like to celebrate and thank all of these great and influential people not only this month, but also everyday! We're ready for the 2018 Women’s March and we want you to be ready too! 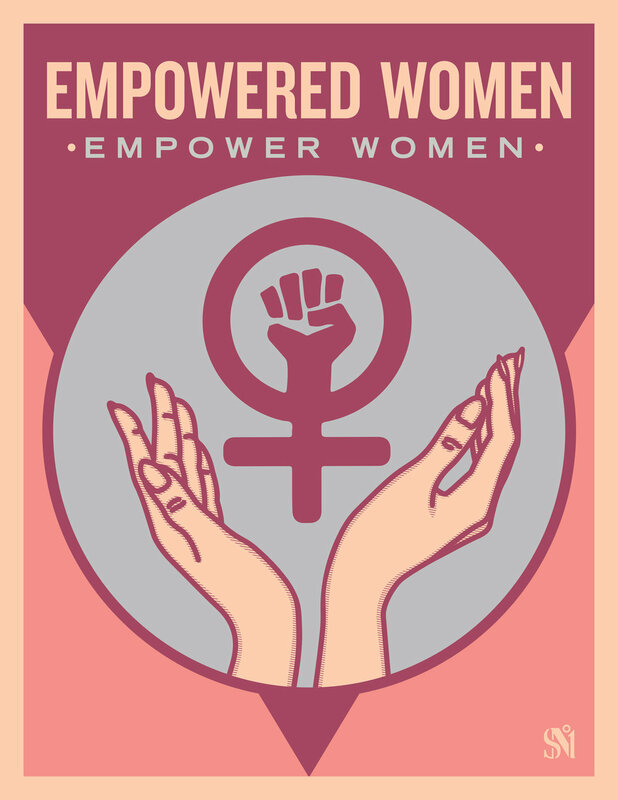 We've made a collection of downloadable posters and sharable art. Check them out and download away! We hope the holiday season brings you peace and a renewed spirit. As we enter the new year, let's promise to make a difference, stay engaged, and dedicate 2018 to progress. 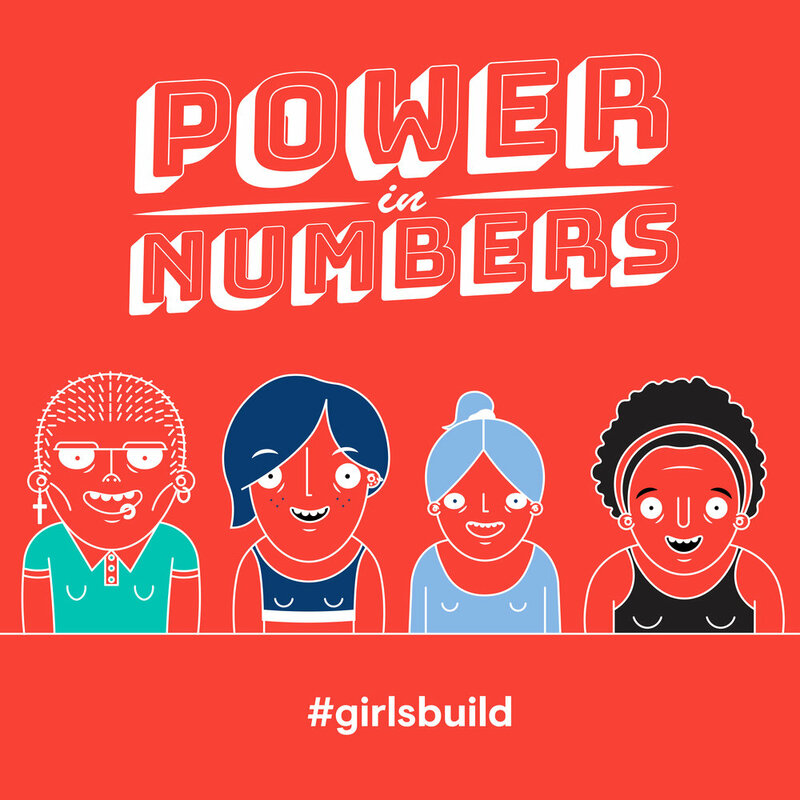 SNO was honored to create art to inspire and empower young women at the Girls Build LA Leadership Summit, which took place last week Friday, December 15 at the Los Angeles Convention Center and featured Secretary Hillary Clinton and Senator Kamala Harris as key speakers at the event. Sanctioned by the LA Promise Fund, the program challenges young women from public middle and high schools in Los Angeles to use STEM principles to effect social change. Girls team up to identify and address issues in their communities, like homelessness, obesity, mental health, voter registration, and much more. Over the course of the school year, they leverage creativity, teamwork, and STEM skills to develop, implement and share their solutions to these issues. Refinery29's 29Rooms Comes to Los Angeles! 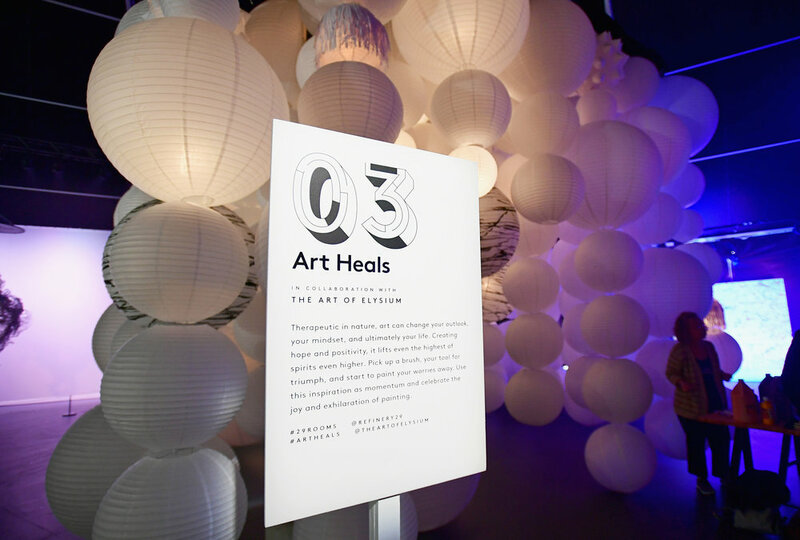 Non-profit organization The Art of Elysium invited SNO to add a little flair to their Art Heals room at Refinery29's 29Rooms in Los Angeles, an interactive funhouse of style, culture and, technology. Guests were encouraged to explore their artistic side by picking up a brush to contribute their own art and experience the joy and exhilaration of painting and being creative. In the wake of the recent tragedy in Las Vegas, Studio Number One collaborated with Red Rock Resorts Foundation to create a number of graphics that capture the strength, unity and resilience of the Las Vegas community. The iconic images, memorialized on t-shirts, are available for sale at www.VegasStrong.co at $25 each. 100% of the profits will benefit local organizations in support of those impacted by the events on Oct. 1. Studio Number One had the honor of designing graphics for Subliminal Projects' latest show #GirlGaze: Uncensored, a group exhibition featuring photographs taken by young, female-identifying photographers. 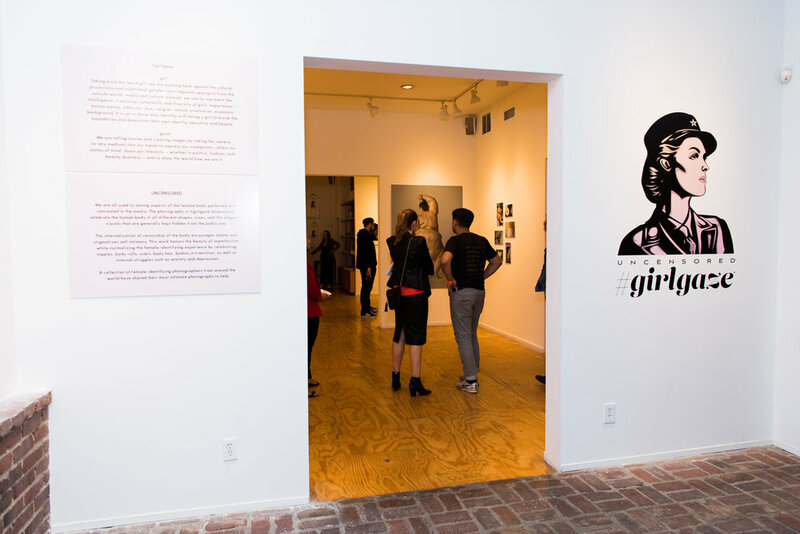 The show was curated by Amanda d Cadenet, who started the #GirlGaze movement to proactively increase visibility and opportunities for young female-identifying artists. The exhibition opened on Sept. 29 and closes on Oct. 28. T-shirts by Obey Clothing featuring the exclusive illustration designed by Studio Number One are being sold with all proceeds donated back to the GirlGaze Foundation. A future release of posters featuring the illustration will be released mid-show. Shop the #GirlGaze: Uncensored tee HERE. With a loose theme of rock climbing, Studio Number One brings you "Crack Thrills" — a mix of abstract collages, humorous illustrations, and questionable design. 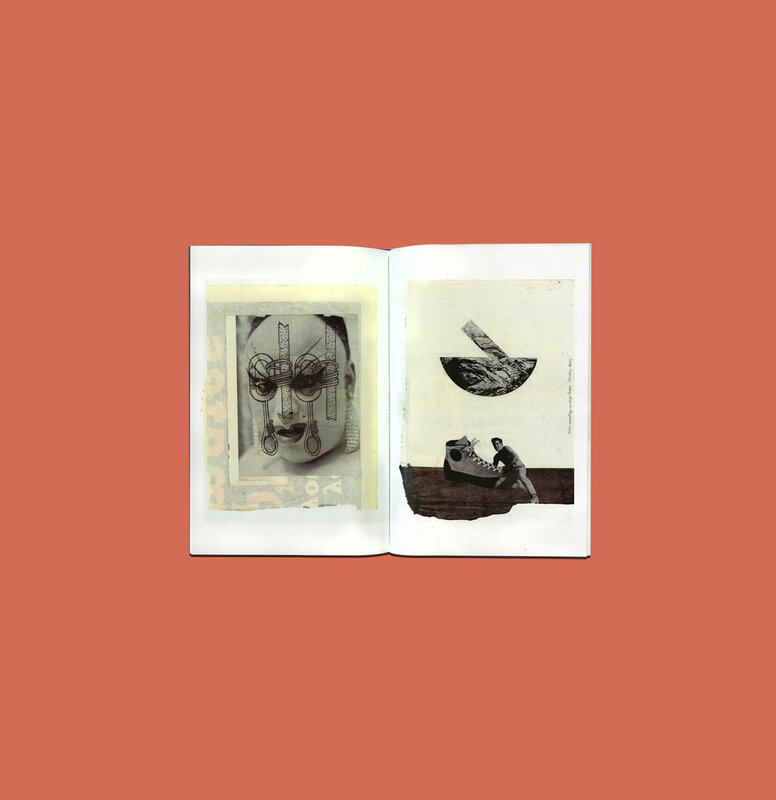 The zine is available for purchase at Subliminal Projects and Eightfold Coffee in Echo Park and Skylight Books in Los Feliz. This is a limited edition run, so grab one before they're gone! Obey Clothing kicked off the launch of their Debbie Harry X Obey collaboration collection by opening its first-ever pop-up shop in Los Angeles on Aug. 10! The retail space will also have items from the Obey Clothing and OBEY Women's lines, including exclusive specialty items.Additionally, Studio Number One has designed a zine, "instant APOCALYPSE" for a special OBEY Zine Newsstand that will be open next to the pop-up shop and will include a collection of zines and prints from various artists and publishers. If you're in the Los Angeles area, come by and pick up Studio Number One's exclusive zine at the newsstand on 7400 Melrose Ave, open every weekend in August from 12pm - 4pm. There are only a limited number of copies available so don't miss it! Studio Number One was commissioned to create special artwork for "An Inconvenient Sequel: Truth to Power," the follow-up to 2006's climate change documentary. Paramount Pictures has teamed up with Alternative Apparel to create an exclusive tote bag featuring SNO's artwork to celebrate the film's release. The tote bags were manufactured using eco-friendly fabrics consisting of a mix of jute and cotton blend. These exclusive Alternative Apparel x An Inconvenient Sequel tote bags will be available to purchase for $25 at retailer stores in New York, Los Angeles, and San Francisco, or on the brand's e-commerce site. An Inconvenient Sequel hits theaters nationwide starting Aug. 4. Be sure to watch this very important film and read more about the tote collaboration HERE. Studio Number One designed several pieces of merchandise for this year's Newport Folk Festival, which takes place at Fort Adams State Park in Newport, Rhode Island with headliners Fleet Foxes, Wilco, and John Prine. 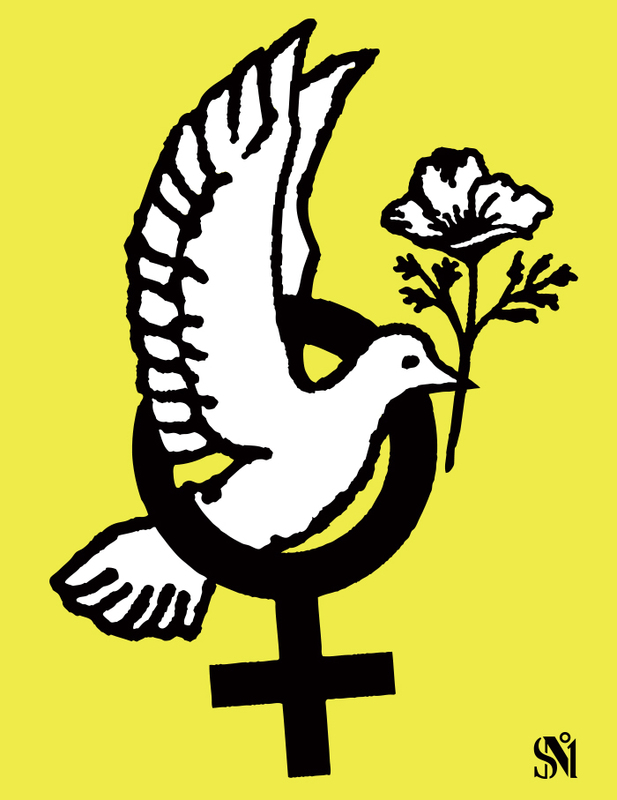 Posters, t-shirts, totes, and patches were created based on the festival's logo and the Rhode Island state flag. All merch can be purchased at the festival starting tomorrow, July 27 - 30. In addition to the special artwork that debuted in Las Vegas (see below) for "War for the Planet of the Apes," SNO in collaboration with our creative director, Shepard Fairey created another piece of art to promote the highly anticipated film. Twentieth Century Fox Films will be giving away this exclusive commemorative poster to viewers attending Planet of the Apes triple feature showings nationwide. If you don't have time to see all three films at once, go check out the final movie of this thrilling trilogy when it opens wide on July 14. SNO had the honor of illustrating renowned Rock Hall of Fame inductees such as Prince, Debbie Harry, Joan Jett, Mick Jagger, Stevie Wonder, and many more to for the Rock Hall's new "Power of Rock" signature experience, which opens on Saturday, July 1 at the Connor Theater in Cleveland, OH. The exhibition brings to life more than 30 years of the Hall's legendary induction ceremonies through digital displays, memorabilia, an interactive booth, and a 12-minute film of ceremony highlights by famed director Jonathan Demme. Read more about the opening and SNO's contribution HERE. Just after 3 a.m. on June 28, 1969, gay patrons of the Stonewall Inn in New York City's Greenwich Village clashed with the police in what many consider the beginning of the gay rights movement. Today we celebrate the LGBTQ community who led the fight to end harassment, persecution, and homophobic-driven discrimination. To learn more about LGBTQ rights, visit #MakeAmericaSmartAgain's resource page HERE. To all the weird dads out there...today is YOUR DAY! SNO and our creative director Shepard Fairey joined forces with former Dexter star Michael C. Hall to design a limited edition tee for the Rongdhonu Friendship Hospital, a non-profit organization helping the poor and marginalized communities Bangladesh. Shop this t-shirt now at represent.com/dexter and help Rongdhonu continue their lifesaving efforts.